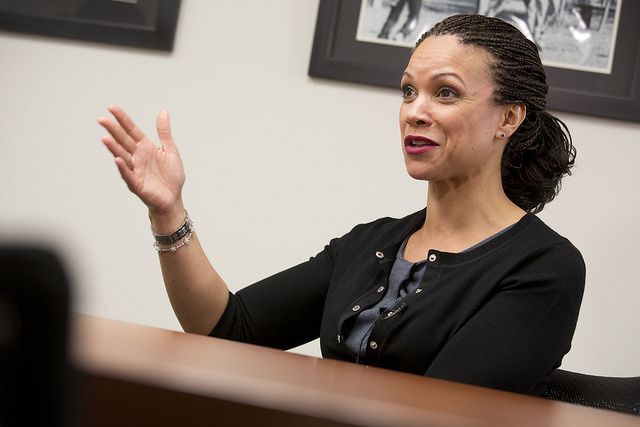 MSNBC anchor Melissa Harris-Perry has proclaimed that people should be happy to pay their taxes. She tweeted back in 2010, “Thanks tweeps for the reminders of how many of you are struggling with unemployment or underemployment. Will pay my taxes with a smile.” In fact, she has frequently advocated for higher taxes. The problem, though, is that Harris-Perry doesn’t seem to want to pay her own. In fact, the Internal Revenue Service, which is the favorite government agency of so many on the left, put a $70,000 lien on her home for unpaid taxes. Of course, even Harris-Perry’s evasion pales in comparison to Al Sharpton, who owes more than $3 million to the federal government. Touré Neblett and Joy-Ann Reid are also among the MSNBC on-air personalities who owe Uncle Sam.